Coomera Waters’ most enviable address is nearly sold out! With spectacular, never to be built out views of the Broadwater and Hinterland – you will soon discover why ‘Quest’ is the pinnacle of luxurious Gold Coast living! Imagine your own huge, architecturally designed 5 bedroom home, featuring a large media room, gourmet kitchen and walk in pantry on a 1,151sqm lot, adjacent to park land and including an in ground pool, for only $725,000. Dreaming of acreage living – but with all the conveniences of inner city living? Discover Hatton Vale Ridge Today! Wide open spaces, fresh country breezes and panoramic valley views are just a few of the perks of this acreage community. Located in Hatton Vale, this gently undulating acreage estate offers residents space for a growing family and a truly relaxed rural lifestyle. All key amenities are within reach – only minutes’ drive to the Woolworths Shopping Centre and Plain lands Service Centre, as well as the Hatton Vale School, Golf Club and Child care. 4000sqm lots are priced from $159,000 and only a handful remain in this limited release. All have underground power, water and NBN. Home and Land Packages start from $359,000. Enquire at our Hatton Vale Land Sales Centre today! The final stage of our premium riverside acreage estate, River Oaks, is now selling! River Oaks is a community that offers all the peace and privacy of acreage living without losing any city convenience. Find fully serviced, acreage lots with all the infrastructure expected of a high-quality estate, including high-speed NBN, underground power, town water and sewerage. Fringed by the Logan River, choose from lots boasting incredible river views or views of the stunning, surrounding parkland. All daily amenities, including a range of public and private schools, Logan Village, Woolworths, Medical Centre and the Logan Village Tavern are close by. For more information of the amazing Home & Land Packages available, contact us today! 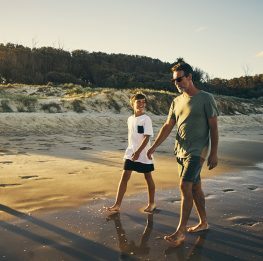 There are few opportunities for affordable living close to Bribie Island, yet Sandstone Lakes offers residents just that. Nestled at the gateway to Bribie Island, this community puts residents in close proximity to the stunning surf beaches of Bribie Island as well as to all the beauty that the Sunshine Coast has to offer. You can fish, surf, boat, jet ski and 4WD. Find ready to build lots from just $212,900 and Home & Land Packages from $353,500. Perfectly positioned close to Brisbane and the beauty of the coast, this is an opportunity that you do not want to miss out on. Sandstone Lakes is truly Ningi’s hidden gem! Secure an affordable dream lifestyle for you and your family by calling us today! Stage 8 Now Selling at Central Springs! The latest release at Central Springs is currently listed and selling fast! Stage 8 offers buyers elevated lots close to beautiful bushlands. You can enjoy your new surrounds via the walking tracks which will weave through the estate or let the children play on the new children’s playground that is coming soon! Lot sizes range from 375sqm to 716 sqm with Home & Land packages starting from only $354,900. 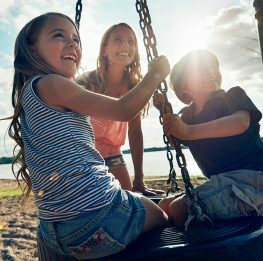 Become part of Caboolture’s newest master planned community and enjoy all the unique benefits of Central Springs has to offer.